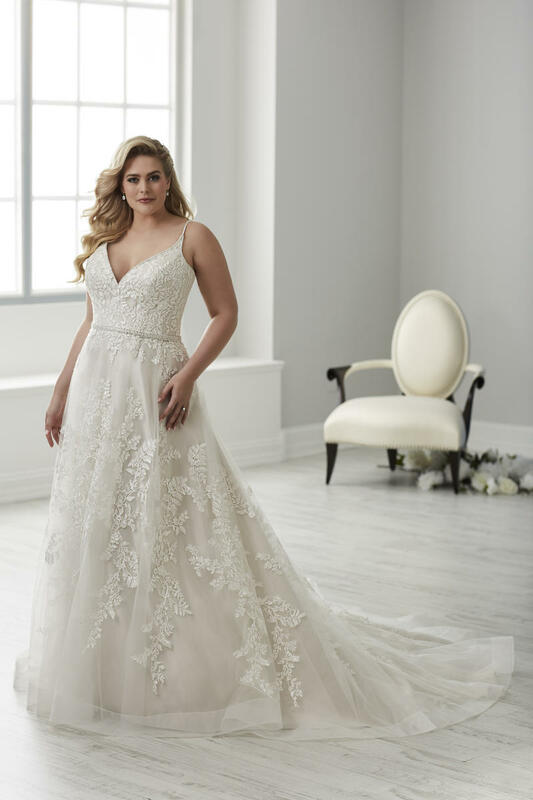 This modern A-line gown has beautiful lace appliques that cover the bodice and trail on to the skirt. The lace appliques continue on the skirt and form a pattern that wraps around the back as well. The neckline and spaghetti straps feature delicate beading, while a beaded belt wraps around the waist. The hem of the tulle skirt is finished with a wide horsehair.